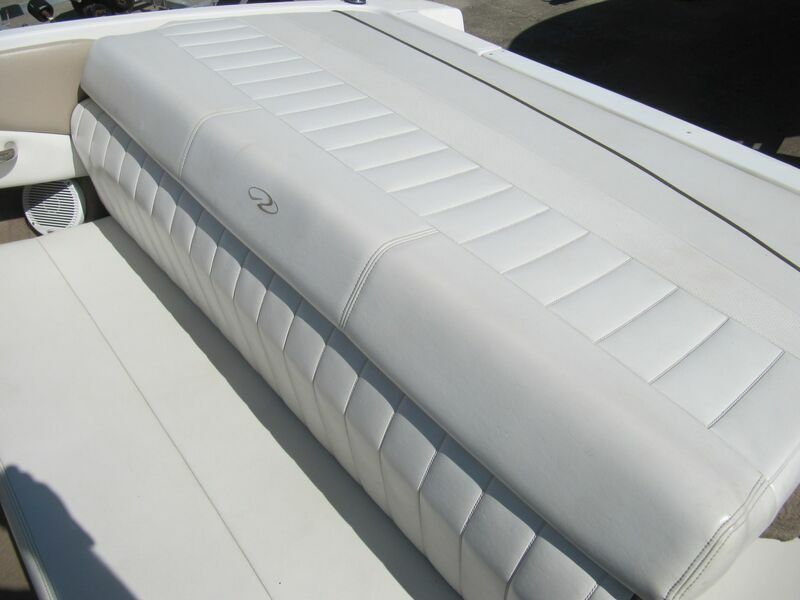 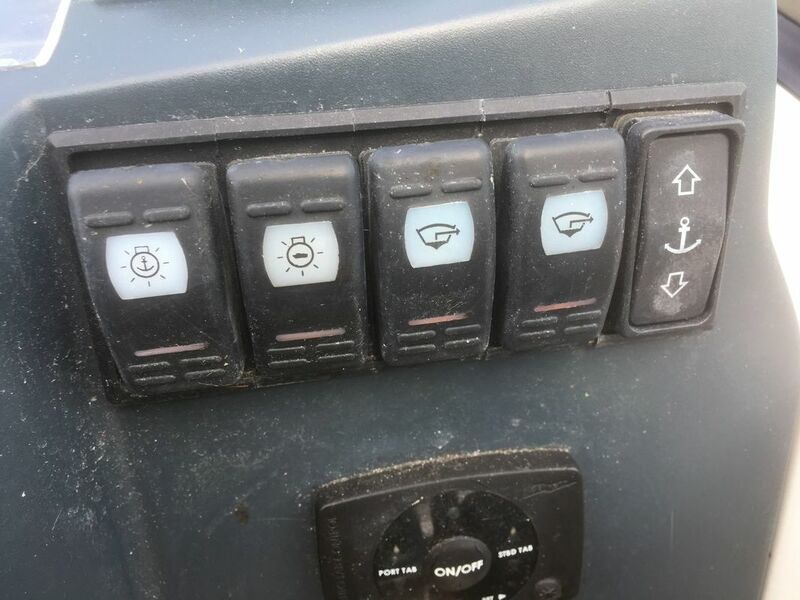 ﻿One owner from new, lovingly maintained with full service records, dry stack stored from new. 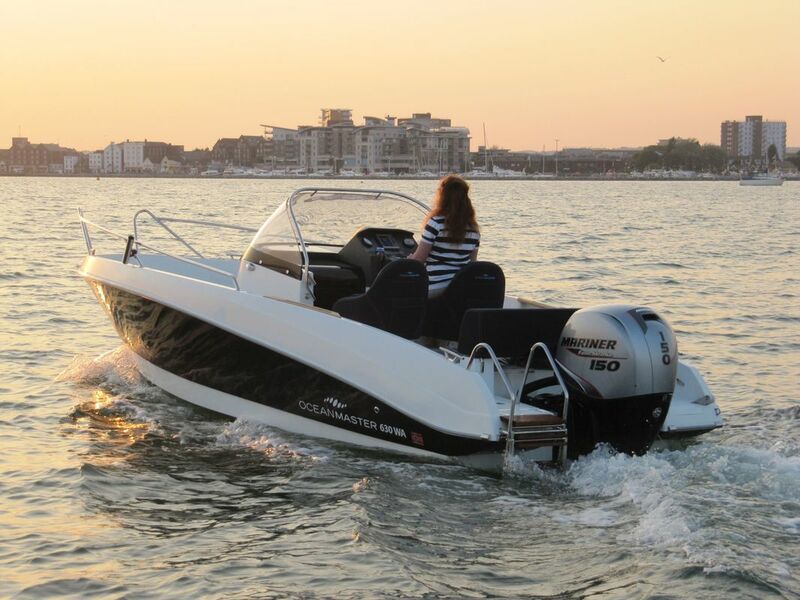 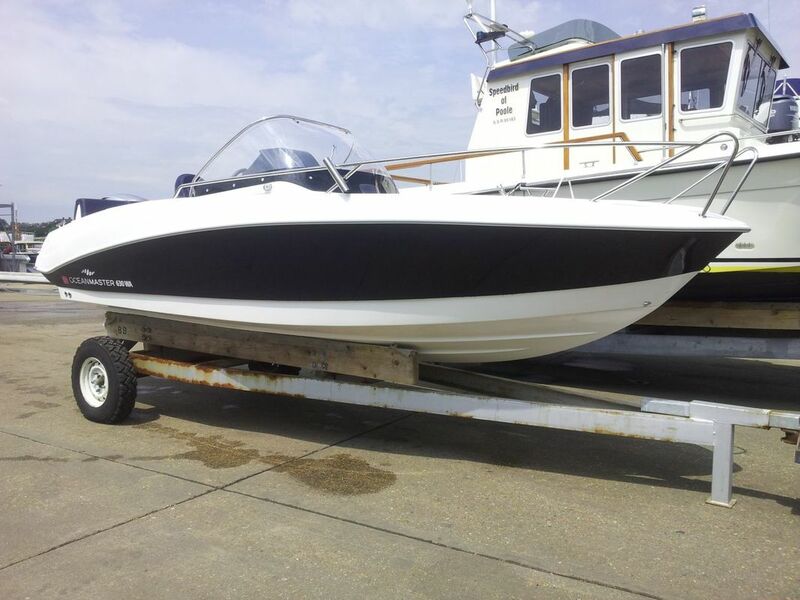 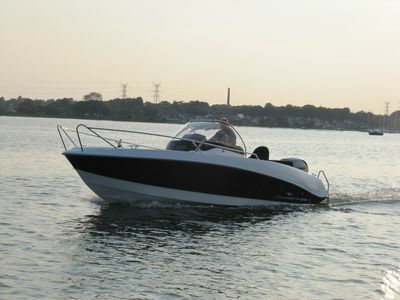 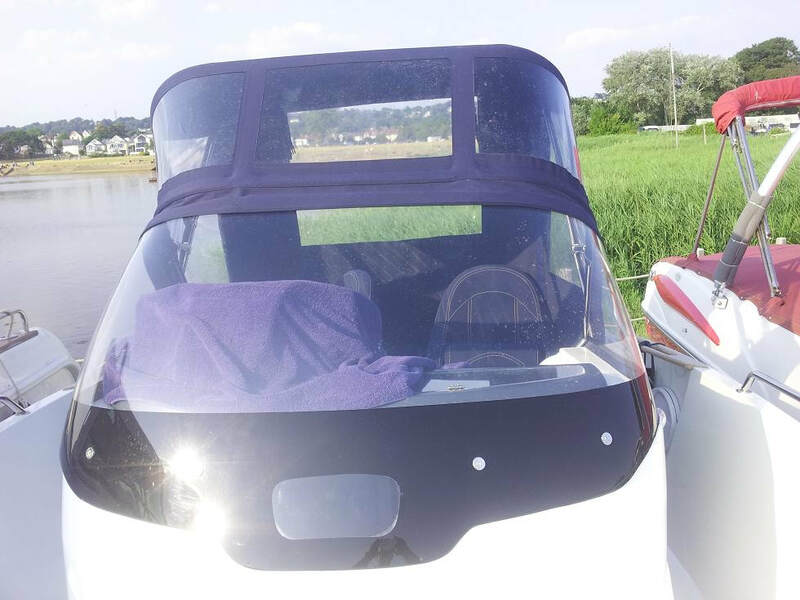 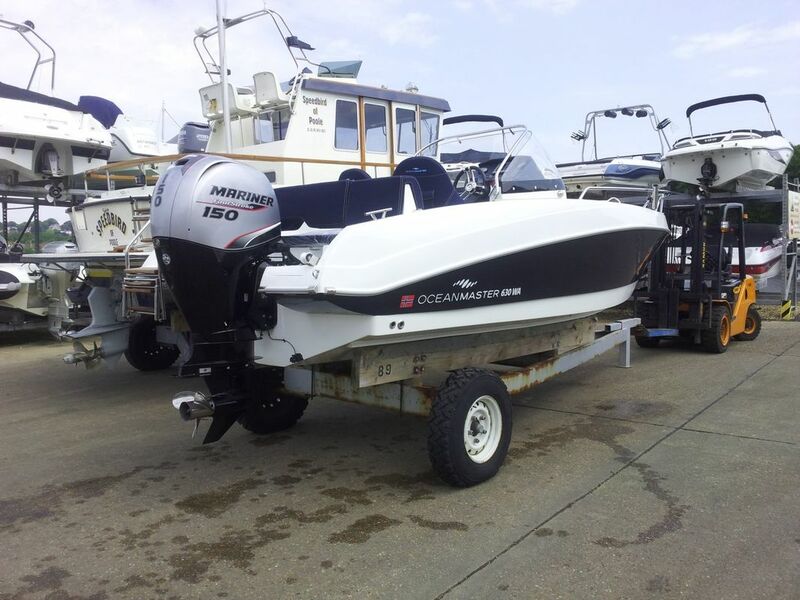 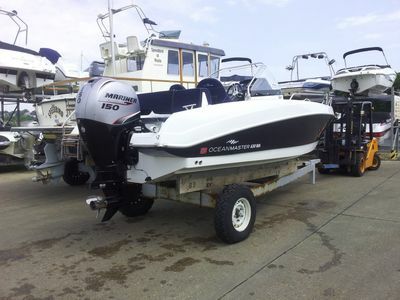 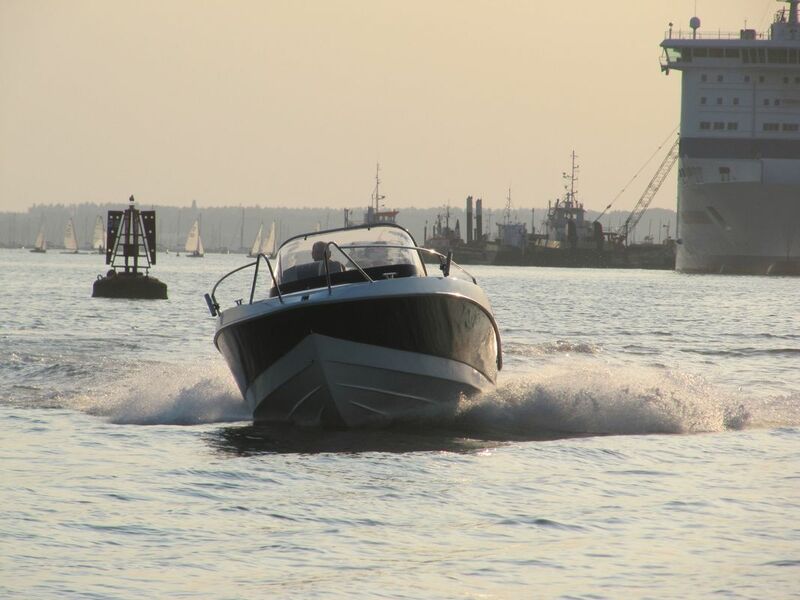 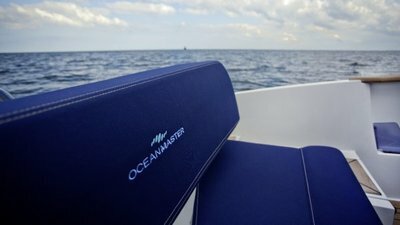 Imaculate Oceanmaster 630WA powered by a 150HP Mariner four stroke outboard, approx 213 hours. 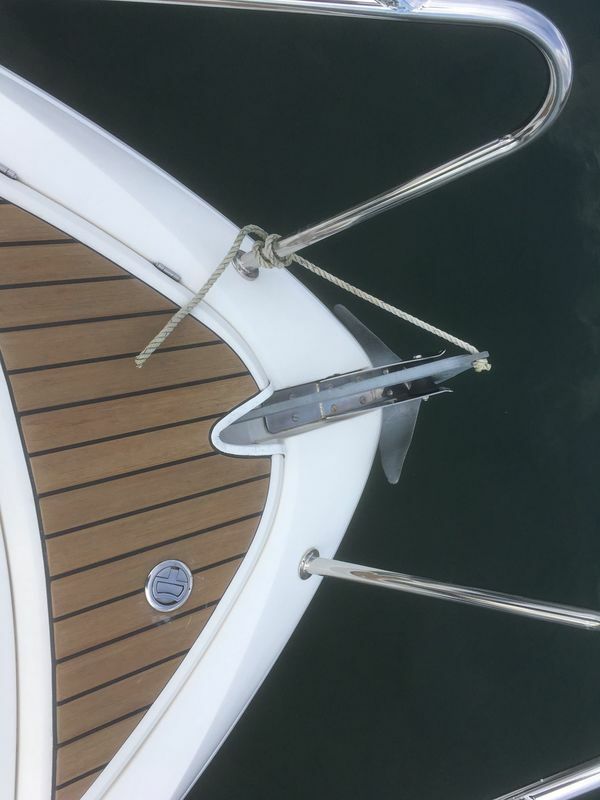 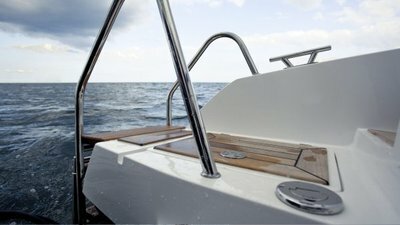 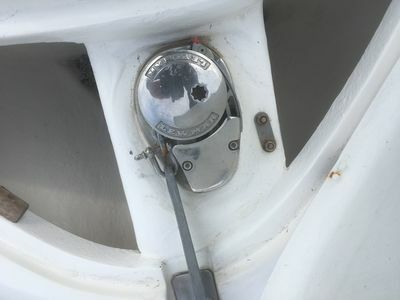 White hull with blue band, never antifouled. 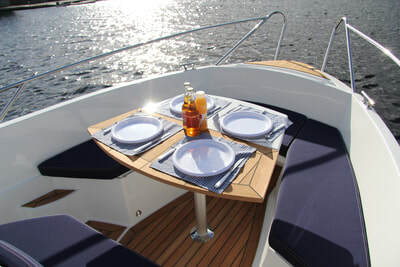 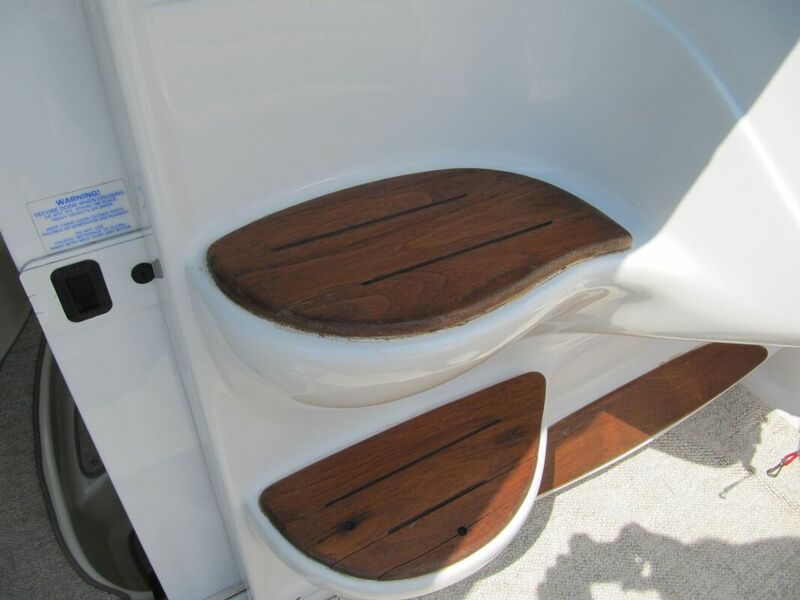 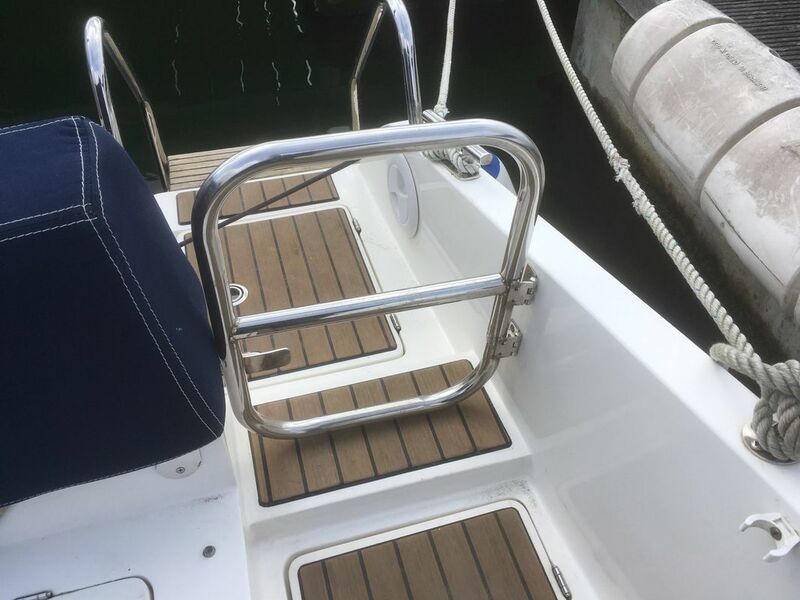 Navy blue upholstery, useful cuddy cabin, bow table and sundeck infill, full synthetic teak deck, marine WC, electric anchor windlass. 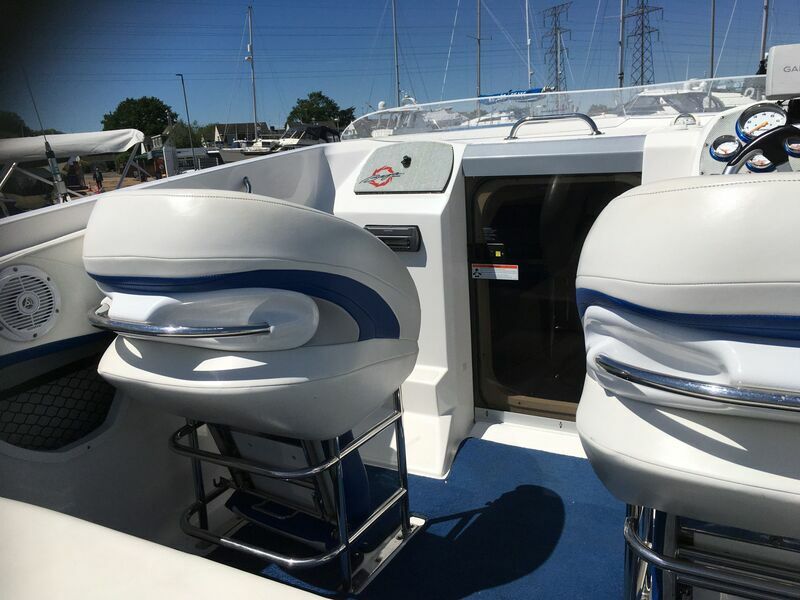 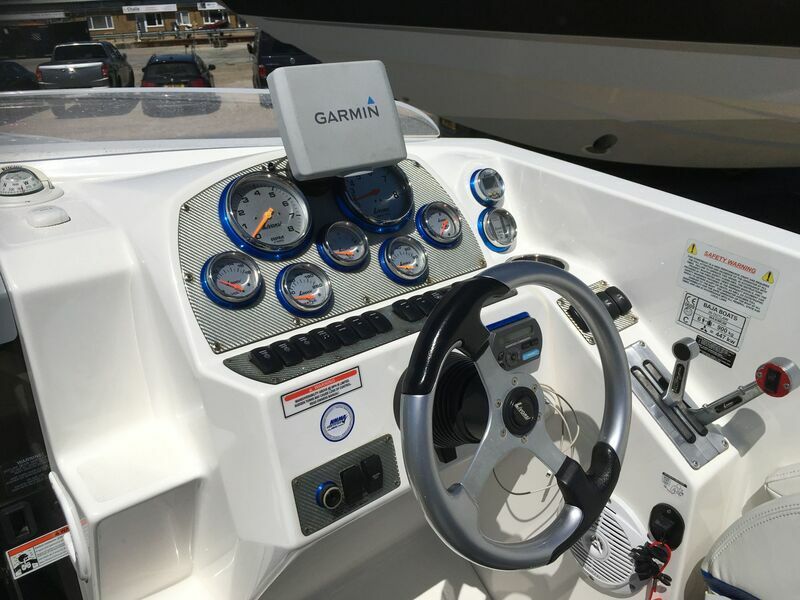 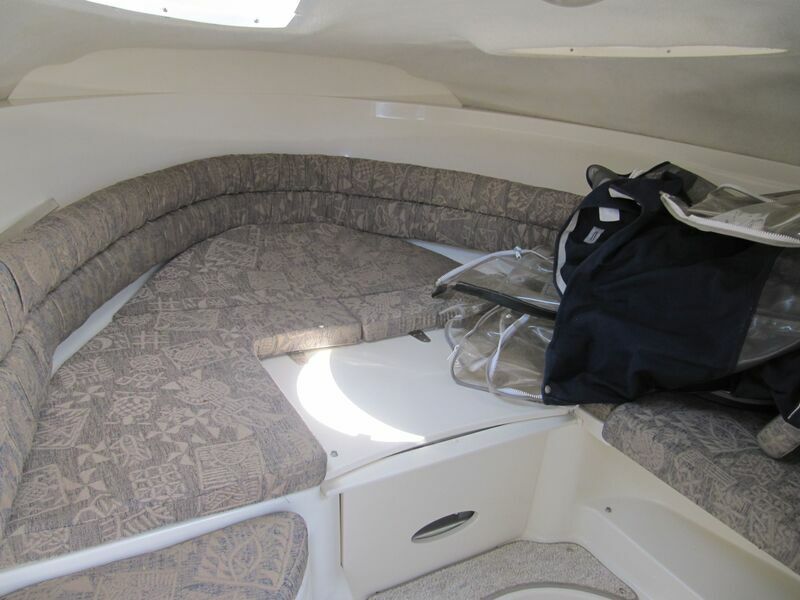 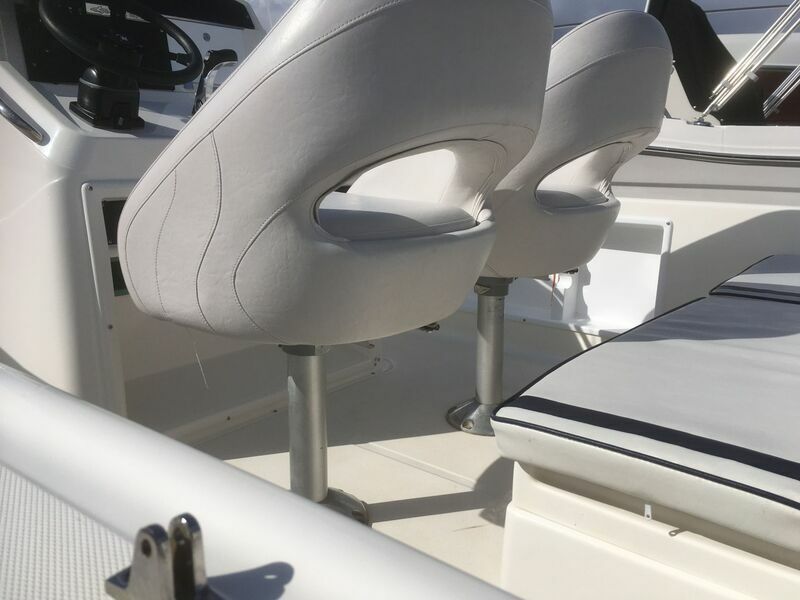 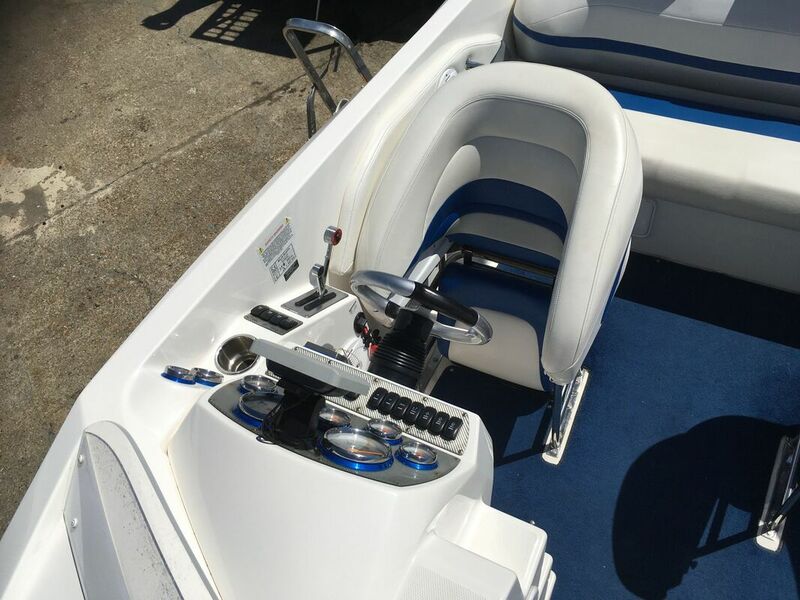 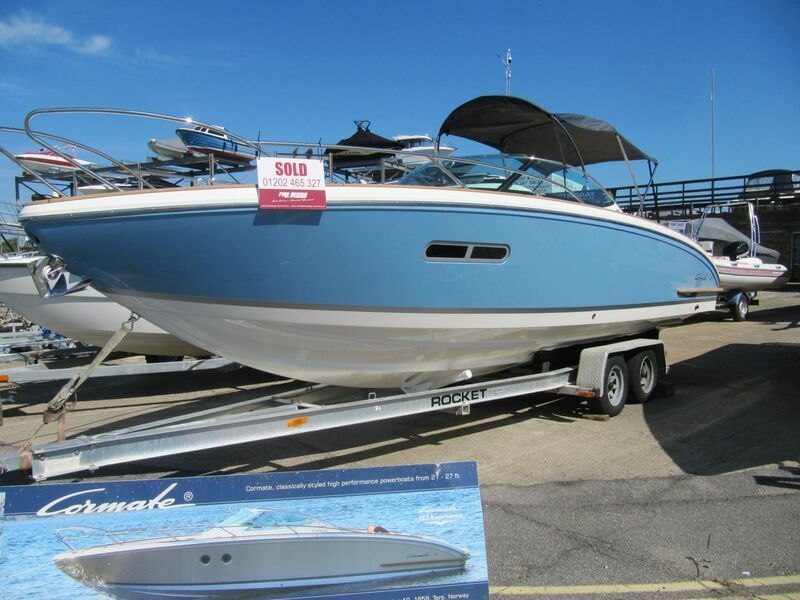 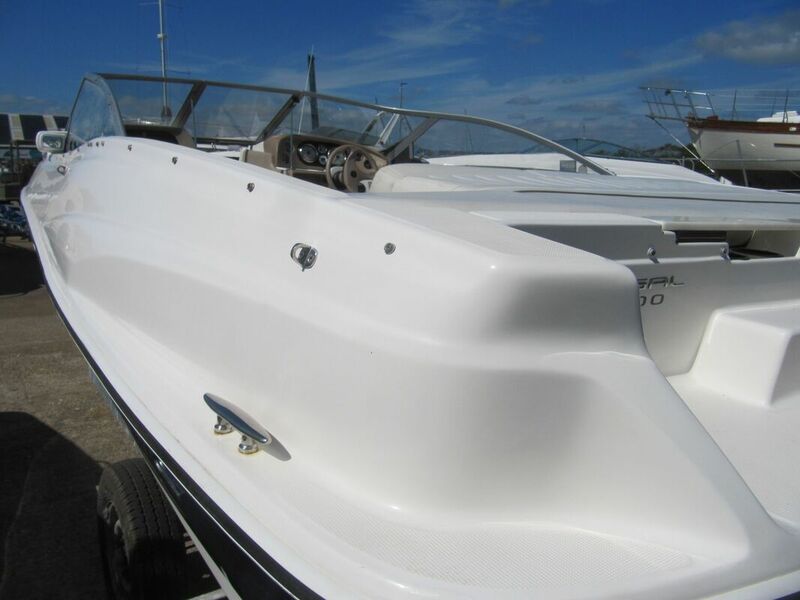 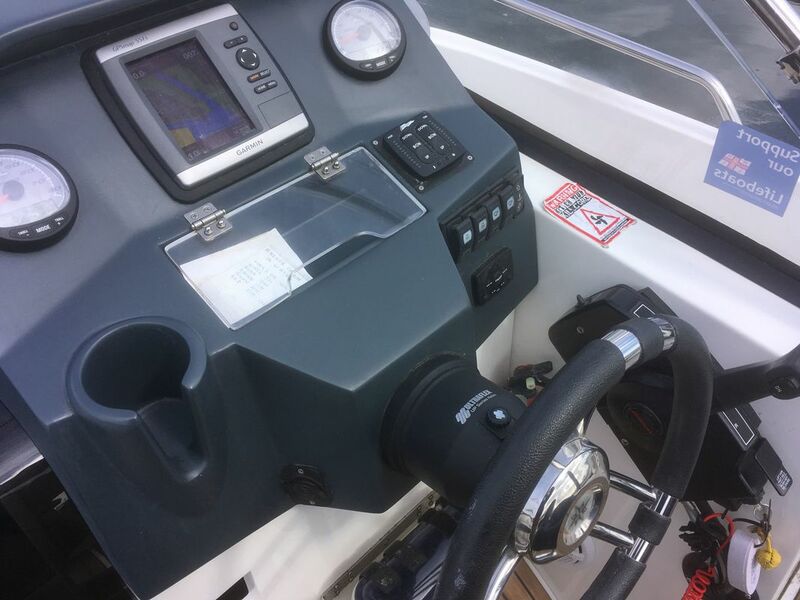 Full height console canopy, toneau cover, transom gate, rod holders, stereo system, chart plotter, sounder, fish finder, trim tabs. 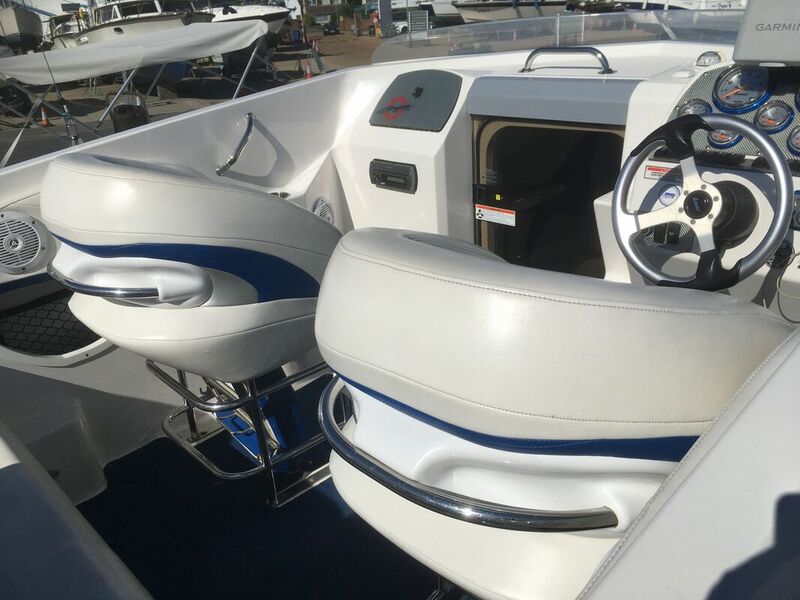 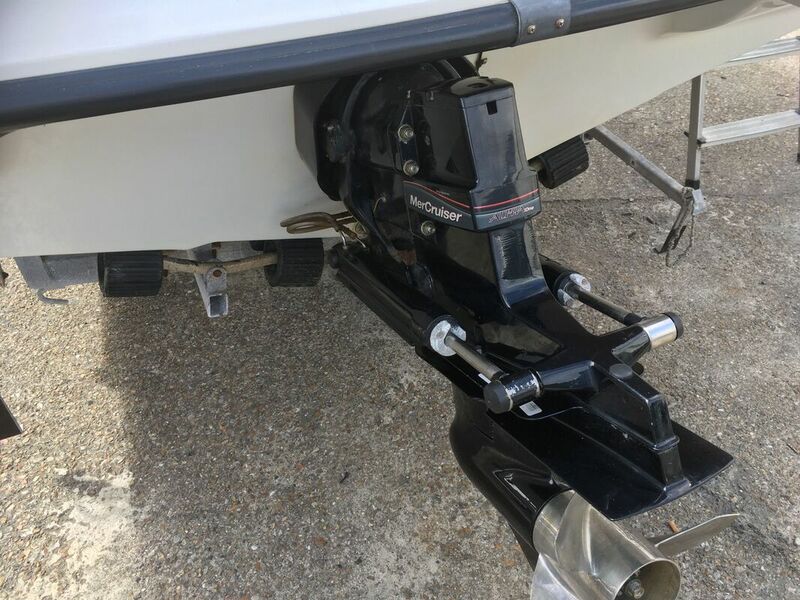 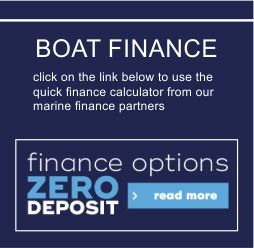 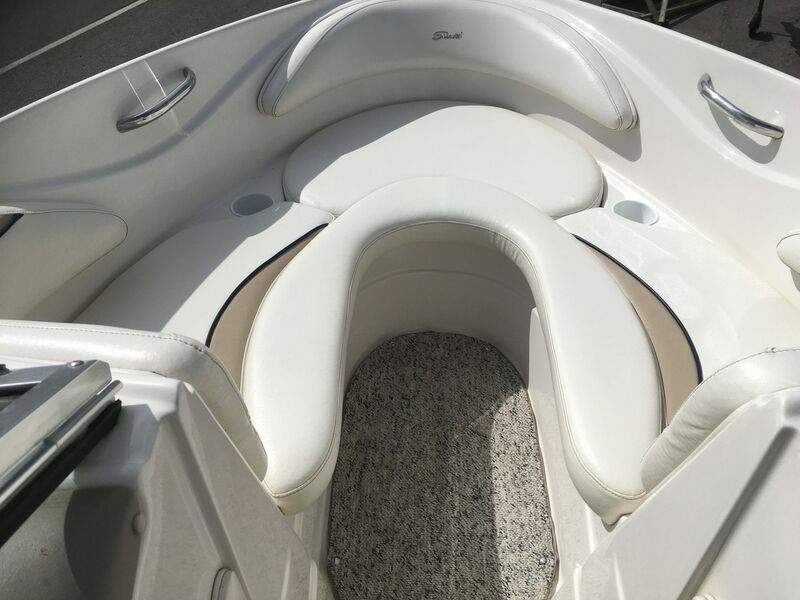 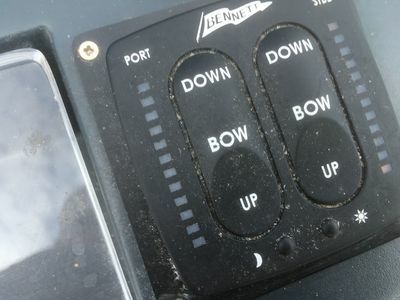 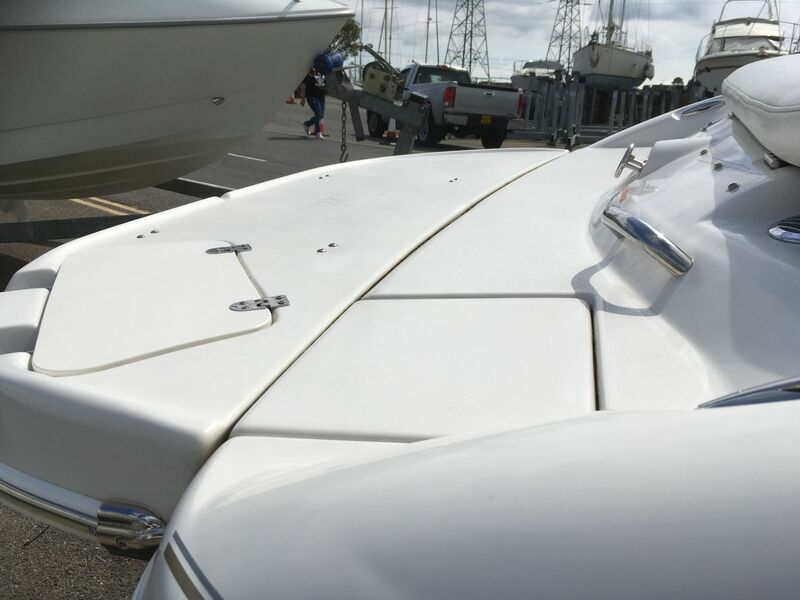 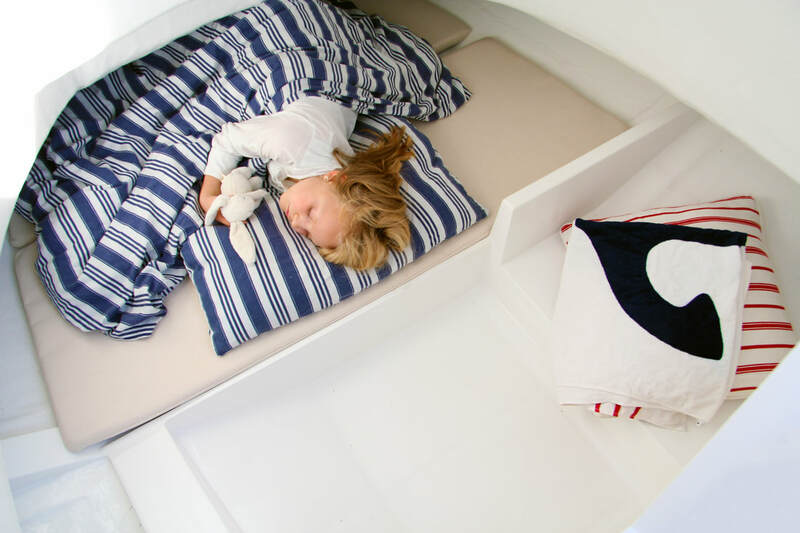 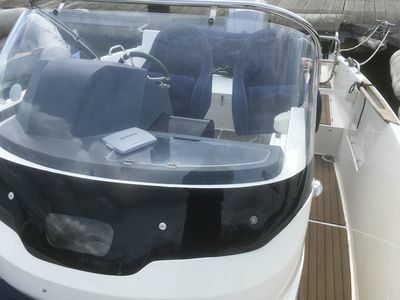 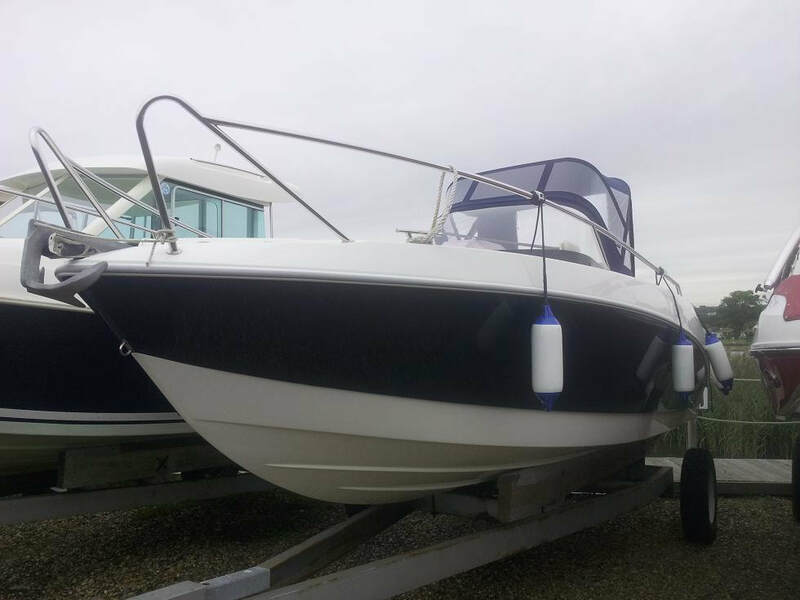 The Oceanmaster 630 is the most popular model in the Oceanmaster range and this boat has been specified with some great optional extras to ensure the boat is a great allrounder.